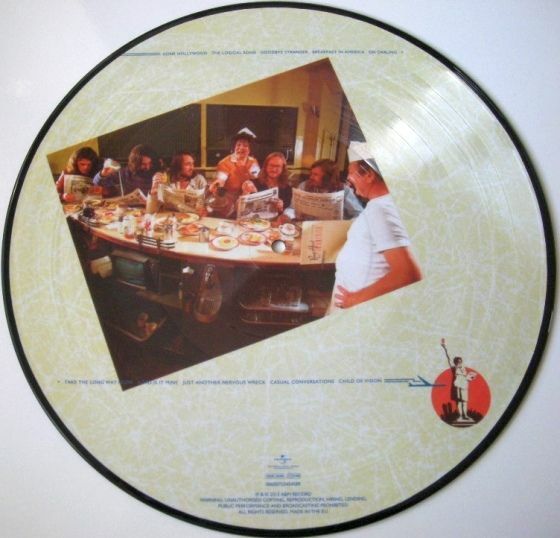 2014 EU remastered and reissued on 180g picture disc+download=the 1979 blockbuster 10-song set produced four hit singles with "The Logical Song," "Goodbye Stranger," "Take the Long Way Home" and "Breakfast in America." 2014 EU remastered and reissued on 180g picture disc vinyl +Download=the blockbuster 10-song set produced four hit singles with "The Logical Song," "Goodbye Stranger," "Take the Long Way Home" and "Breakfast in America." 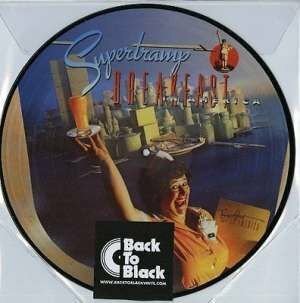 Supertramp's breakthrough sixth album Breakfast in America was originally released on A&M Records in 1979 and it's both the band's most creative as well as their most successful. 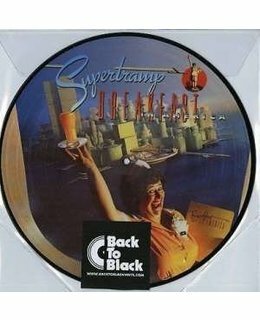 Supertramp’s ‘Breakfast In America’ topped the charts worldwide, selling 18 million copies and producing four hit singles in ‘The Logical Song’, ‘Goodbye Stranger’, ‘Take the Long Way Home’ and the title track. This, the British band’s most successful album, also won two Grammy Awards in 1980. Rolling Stone nailed the album when it described it as “a textbook-perfect album of post-Beatles, keyboard-centred English art rock that strikes the shrewdest possible balance between quasi-symphonic classicism and rock & roll”.